Are you looking for a gift that is fit for every single home??????????? It has become increasingly harder to come up with a gift idea which applies to every age range and gender. It's also become harder to try and find someone a gift that they own already. I have the perfect gift reveal for you. The Natural & Healthy Reed Diffuser in Pink Grapefruit by Pairfum. for 20%off ONLY AVAILABLE on www.pairfum.com not other links. I have always struggled with coming up with gift ideas when it comes down to people I don't particularly know. Nowadays, people own pretty much everything so it's become so hard to get gifts which people can fully enjoy. A natural and healthy reed diffuser is the perfect gift for any home because let's face it who wouldn't love a beautiful and wonderful smelling home!!!!!!!!! I adore how it's handmade by Artisans in their Perfume Ateliers in the United Kingdom. This is such a luxurious fragrance producer. When it comes down to packaging design they nailed it. It's beautifully packaged in a beige container with black and gold detailing. Inside you will find a glass decanter with a silver design which includes a decorative platinum collar. 100ml of concentrated perfume oil serum are provided. This is incredible as it is set to last you between 3 to 5 months. That is a very long time when it comes to the life span of a diffuser. Together with the decanter are included 10 very long black reeds. The great thing about having long reeds is that it will allow the fragrance to better cover large spaces. It is the perfect accessory for your home as it looks very beautiful and aesthetically fits into all different types of homes. When it comes down to any grapefruit fragrance there's a lot that could potentially go wrong especially if it's cheap as it may indeed produce a pungent smell. However, when you set up this diffuser you will notice that the smell exuded is very similar to an "Eau de parfume" . I can only describe it's smell as a soft elegant perfume. 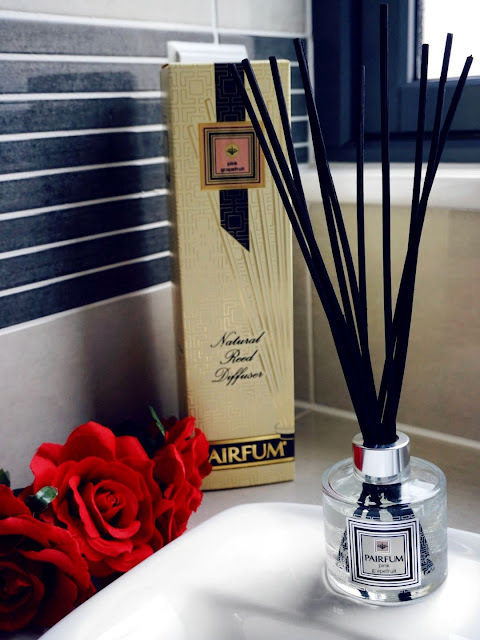 The scent is based on a vibrant pink grapefruit fragrance with notes of mandarine, lime and bergamot. They have added the floral notes of jasmin and lily to add that softness to the grapefruit. What gives it even more sophistication is the sandalwood added bases. It's natural components allow a very natural and not overly sweet or overly strong smelling fragrance. It is created with natural essential oils. 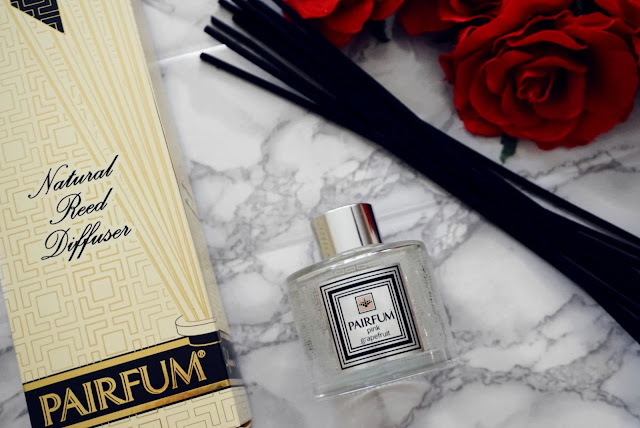 The Pairfum Reed diffuser does NOT use any unusual solvents but instead uses a highly fragrant and natural perfume oil serum. The incredible thing is that this is a very HEALTHY feature as it's aroma is natural and will not be toxic nor carcinogenic. 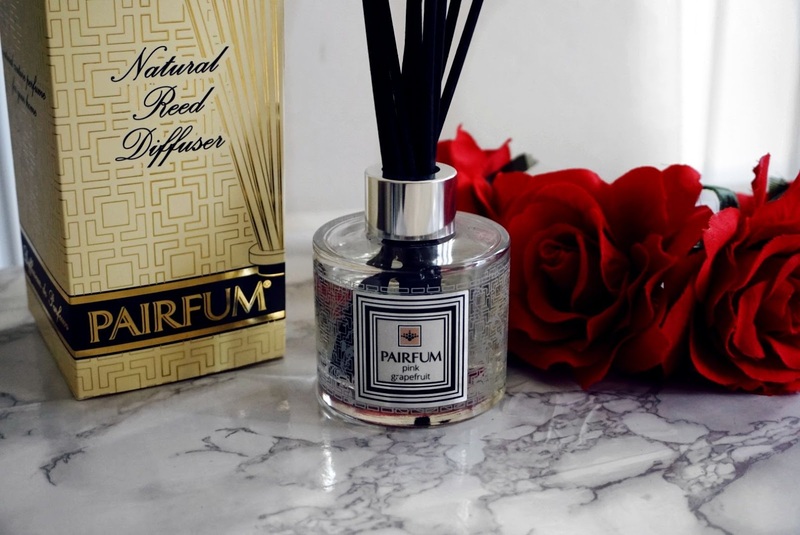 You can regulate the intensity and longevity of the scent by using less or more reeds. A great trait of this product line is that it is eco-friendly and 100% vegan. It is also alcohol free and non-VOC. I love that it is natural to the point that it won't contain those nasty solvents that can attack our lungs. It is perfect for a healthy environment. The fact that it's made in the UK for me is a plus point due to the regulatory bodies that ensure the safety of the products. Prepare for your home aromatherapy experience. This sublime aroma is not to be underestimated, it is definitely a huge contender to add onto your shopping list. It makes a great household ornament which will make your house a little piece of heaven thanks to it's smell. I can highly recommend this product and will purchase one for my closest and dearest. 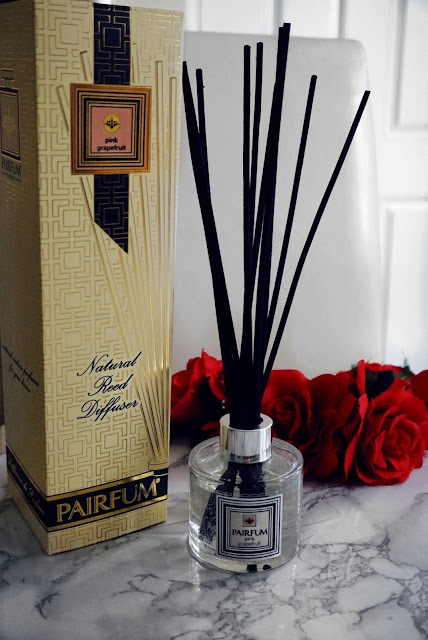 The reed oil diffuser makes the perfect gift for both men and women. I highly recommend it thanks to it's luxurious perfume and it's design. I am so impressed with how this reed diffuser is healthy not only for us and our families but also for the environment. 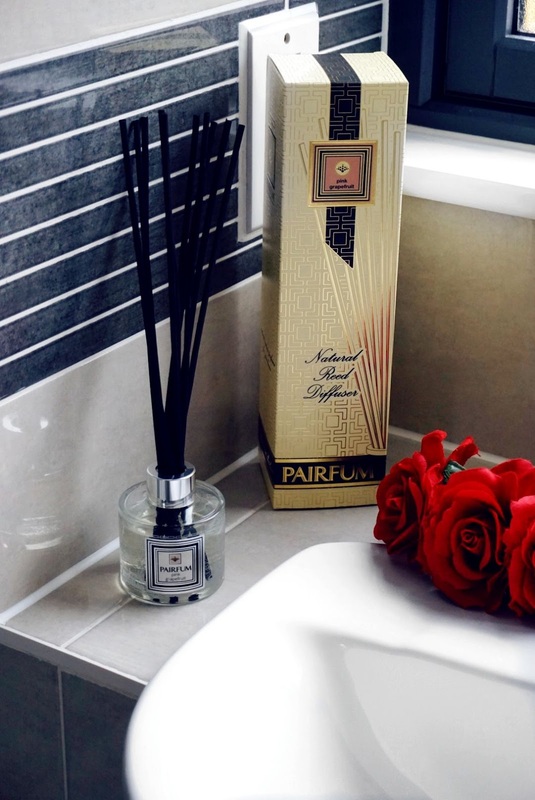 Don't forget that it is very long lasting and is known to have a longer life span than other typical scent diffusers. This truly gives you value for money. Pairfum provides also other 18 diffuser scents, so your choice is so broad.